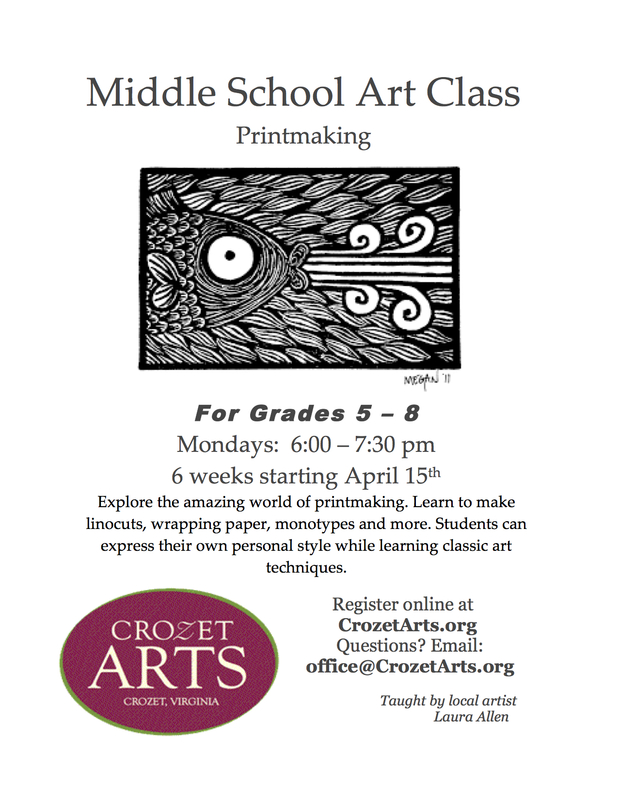 Middle School Art | Crozet Arts: Dance-Music-Theater-Visual Arts-Yoga Ballet, theater, art, music, yoga classes in Crozet, western Albemarle, near Charlottesville, Virginia. Explore the amazing world of printmaking. Learn to make linocuts, wrapping paper, monotypes and more. Students can express their own personal style while learning classic art techniques.